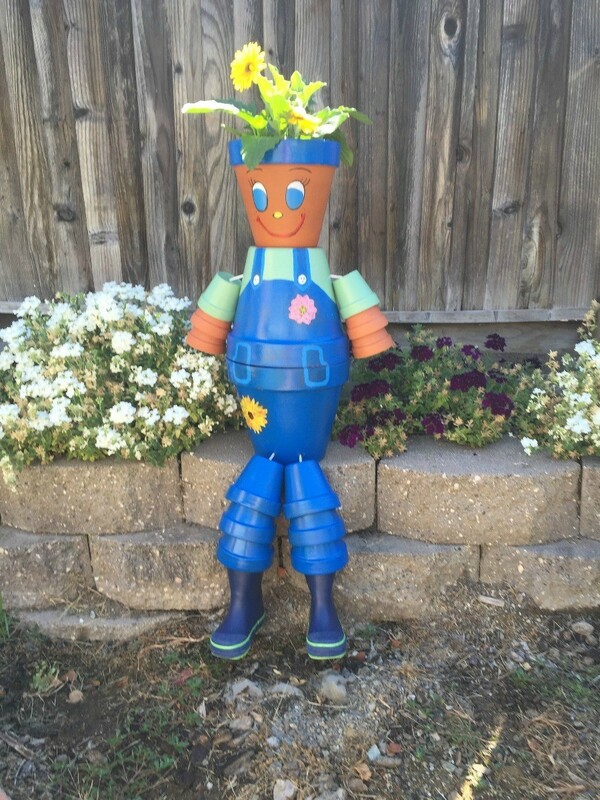 Terra cotta pots can be used to make cute flower pot people for your garden. 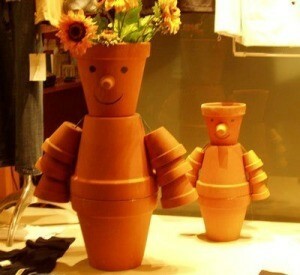 This is a guide about making flower pot people. My good friend Andrea, lives in an apartment. Outside her door is a place she can put a decoration or plant. She had one that "disappeared". She went looking and found it on the floor above her. 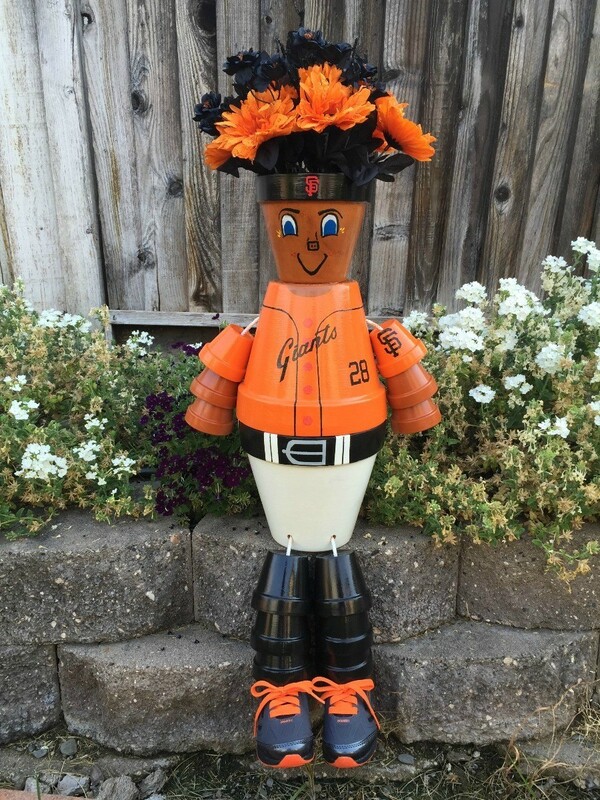 DH wanted to make this to replace it for her. The creeping Charlie hat is in a separate container that she can take out to water. The base is a clay saucer filled with colored tumbled glass and marbles that we glue in. The bottom pot is filled with sand for weight. The face pot has a dowel inserted through to the sand and to tie the small rope for the arms. 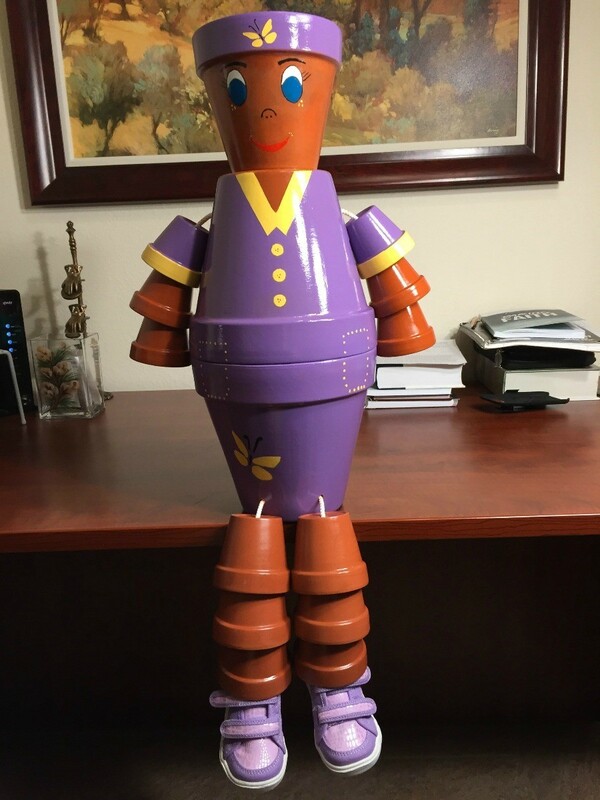 It is a little over a foot tall, maybe 14-16 inches including the plant and artificial flowers. She liked it so much she is not putting it outside the door, but on her kitchen counter so she can see it every day and remember "how much we spoil her". We are the ones who are blessed to have her friendship in our lives. These are some terra-cotta pots I hand painted and sealed for my garden. In your pot people, how do you get holes in pots? Most adobe color type flower pots already have bottom holes. You are just threading the twine/rope through those holes. In fact even the fancy patterned pots already have holes. 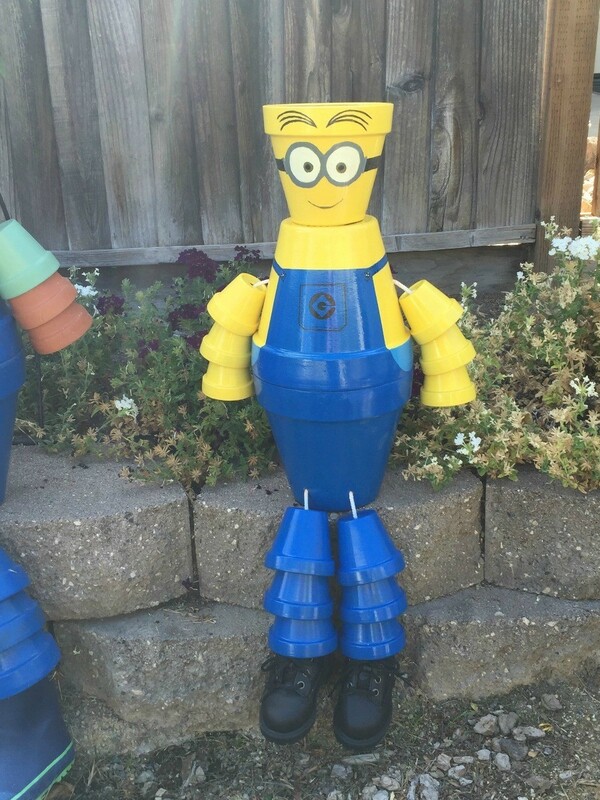 Has anyone ever made pot people out of plastic pots. I too am having problems getting enough clay pots. I have not personally done it, but according to this article it can be done. The plastic ones are best for indoor display. I say this because anything I have ever done with plastic pots (at least the thinner, less expensive ones) have been ruined by the sun after one summer outside. The heavier ones have never lasted more than 2 summers. I would hate to see your hard work cracked and broken from sun damage. I wholehearted agree that i would not put any time or money into fixing anything for outdoors with plastic pots as they just deteriorate too quickly. i do have some extra large pots that have held up nicely but not sure exactly what kind of material they are made of. As to having trouble finding clay pots - here is an easy way to find them without making a trip. 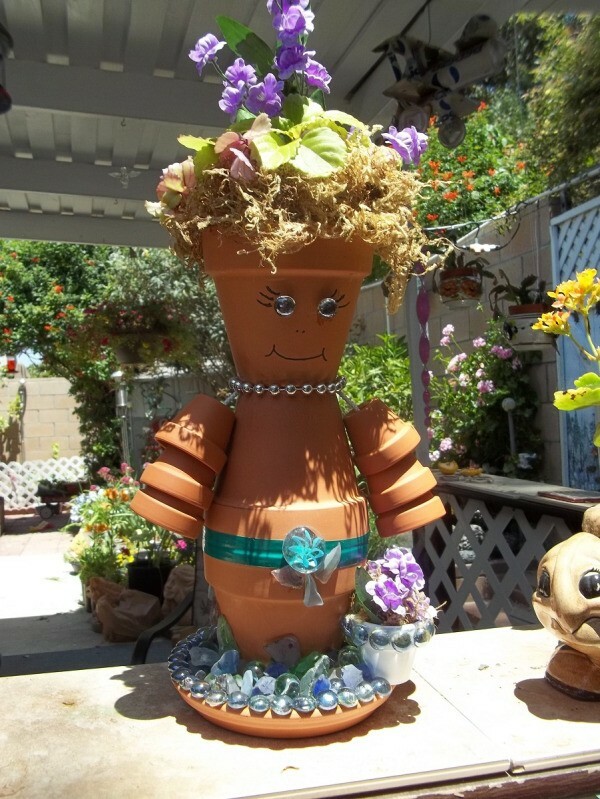 Google where to find clay pots with your zip code and numerous local stores will pop up and they will usually tell you which stores have clay pots and what sizes are available. You can even call their garden center and ask them to set the ones you want aside for pick up later. Generally, the stores that carry the most stock and the most sizes are Lowe's, Home Depot, Target and Walmart (occasionally), as well as Ace and True Value Hardware stores. These are neat but think about clay and not plastic.. 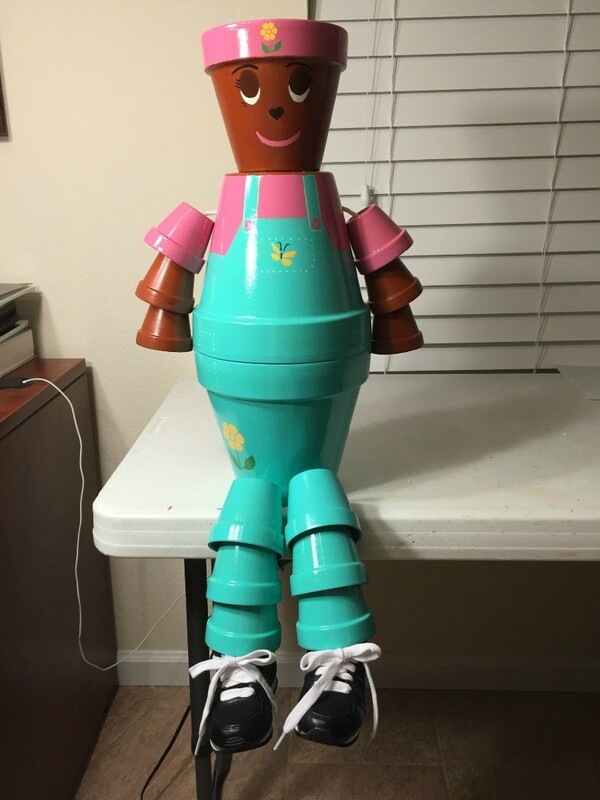 Does anyone have directions for making a police officer from clay/terra cotta pots? I've seen directions for many animals and garden people, but not law enforcement. Thanx. 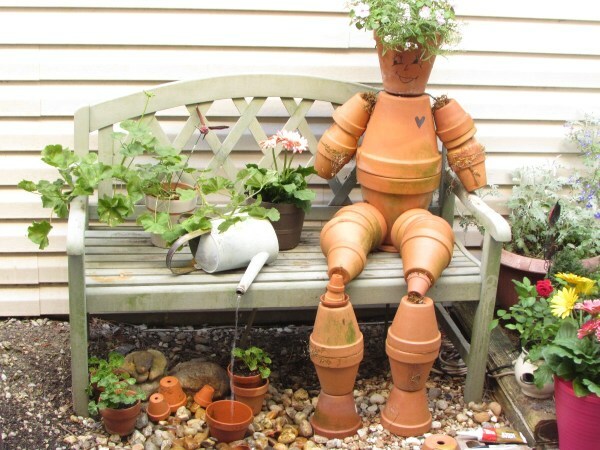 Here are instructions for making a terra cotta pot man. 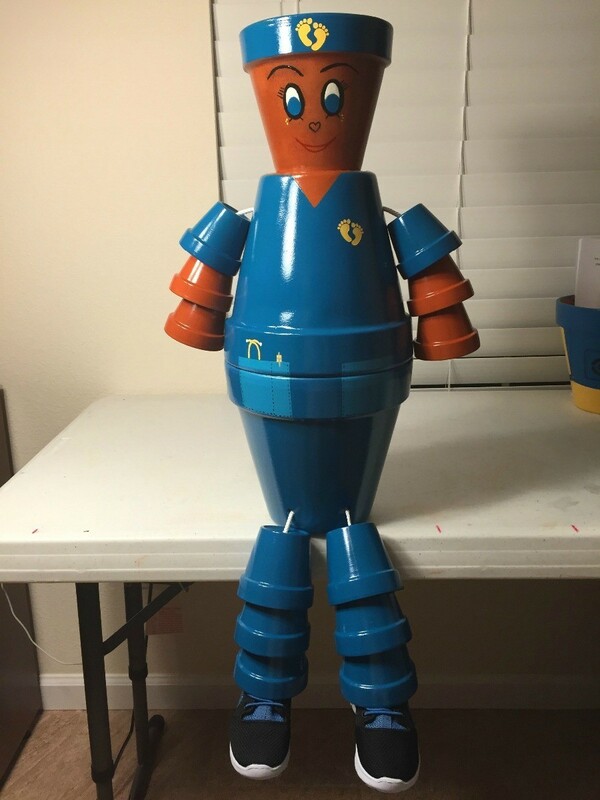 You could paint the pots blue and make whatever other adjustments are needed to make him look like a policeman. This scenario takes place outside my patio door. When the screen door is in use, we can hear the soothing water falling from the watering can. This is a work in progress for the Path Garden. We started the project and had to stop due to rain. We made a few mistakes along the way, but we're having fun in the meantime. If we make anymore it will be easier. We'll post updated pictures later. 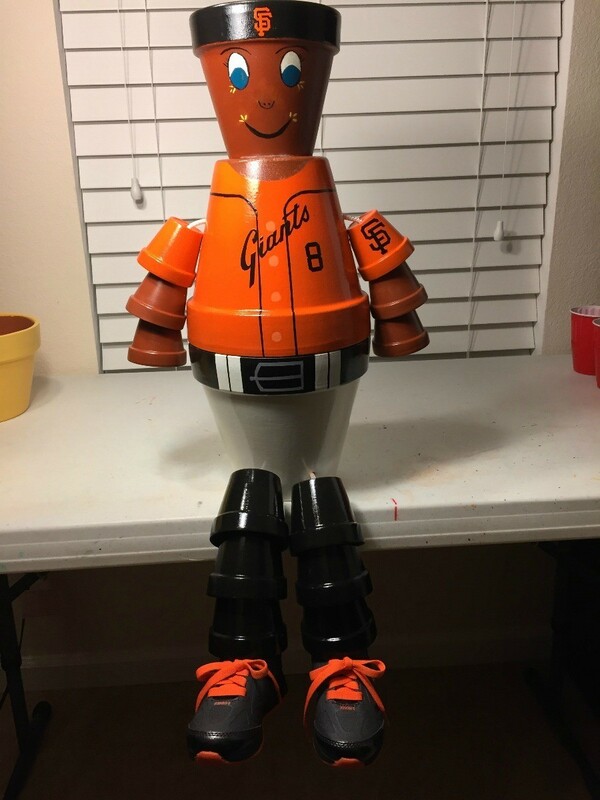 If anyone else has made these, please send in your pictures or ideas. Source: I seem to remember it was on the internet or maybe Backyard Living or Birds and Blooms magazine? My friend made these flower pot people.